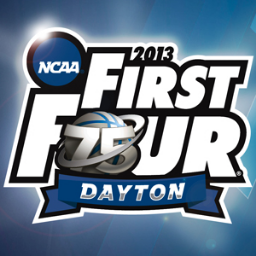 Hey, we've already reached the first round of the 2013 NCAA Tournament with the First Four in beautiful Dayton. Now I know that most folks do not consider March Madness to begin until the Thursday afternoon games but hey, have to play with the hand you are dealt. We have four games over Tuesday and Wednesday nights, here are my predictions for each. The winner of this bad boy gets the right to head to Lexington to lose to play Louisville. Liberty, with a record of 15-20, is one of the worst teams ever to make the NCAA Tournament, therefore I will take them over the Aggies of A&T in an upset. But is there really such a thing as an upset in the 16th seeded First Four game? These two are battling for the right to play Memphis in Auburn Hills. Both of these clubs were borderline at-large bids as both won a bunch of games, but did not have many impressive victories. Should be a fun one considering the Gaels have an excellent offense and the Blue Raiders are tremendous on defense. I think of the two, Middle Tennessee has more to prove and I like them to advance. The Blackbirds and the Dukes will battle it out to play Indiana on Friday in Dayton, so the lack of travel should be nice. LIU Brooklyn has one of the elite offenses in the country, finishing fifth in the country in scoring. JMU does not, as they finished 26th nationwide in scoring. Give me the Blackbirds and let's enjoy some Beatles. The winner here will take on Kansas State in Kansas City. These two clubs have underrated offenses but I think that the Broncos are more battle-tested having some from the Mountain West and I like them to advance. LIU Brooklyn vs James Madison, you're picking Middle Tennessee? Good call, just a pasting fail.